I LOVED this book. I wasn't sure how I was going to like this book because it seemed to be a bit melodramatic with the newly released insane hospital patient Rayna. It starts off that she has just been released from the SS crazy, also known as the hospital she has to go to after claiming to see the angels. Dr. G has been telling her that she is a schizophrenic and that the only way for her to get better is to know that the winged angels she sees are illusions, they aren't real. She even begins to believe this, and so she is released from the SS crazy But, it turns out she isn't crazy after all and angels really do exist, and they are just as shocked to know that she can see them as she is to be able to see them. I felt for Rayna in this book. If she was scared or angry, I was right there with her. The author makes you very empathetic to Rayna's situation and I became very attached to Rayna very quickly. There were parts when I did become very frustrated with Rayna because I didn't want to her to be the damsel in distress and I felt that at times she seemed to be just very stupid at her situation in general. The one example of this was when her dad found out that she could still see the angels. I knew it was going to happen because of the events unfolding up until that, but I still felt for her in every moment. I felt that I was also being taken back to the SS Crazy on that stupid sunshine van. I suppose this was a very good thing, because I became so enthralled with Rayna and the events unfolding that I needed to continue her story. I just could not put the book down. The other characters in the story were also very noteworthy and riveting. I loved Cam and especially Kade. I guess I just have a soft spot for the bad boys and their dark wings, pun intended. 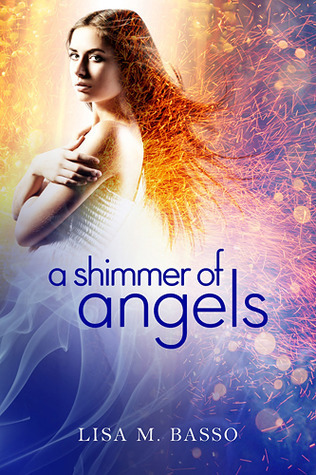 I would highly recommend this book to anyone that wants a good read to help them escape into an enchanting new world of angels. Pick up this book when it is released in January and you will not regret it, I guarantee it.